B NK is a cross-media content platform. B NK enters the debate and engages in an objective dialogue with remarkable, innovative and concrete stories on socially responsible and modern banking. With this platform BNP Paribas Fortis takes its first steps in contextual marketing. The objectification of the context around a specific topic is more important in the message than the message itself. B NK highlights objectively the banking world today and tomorrow from different angles. 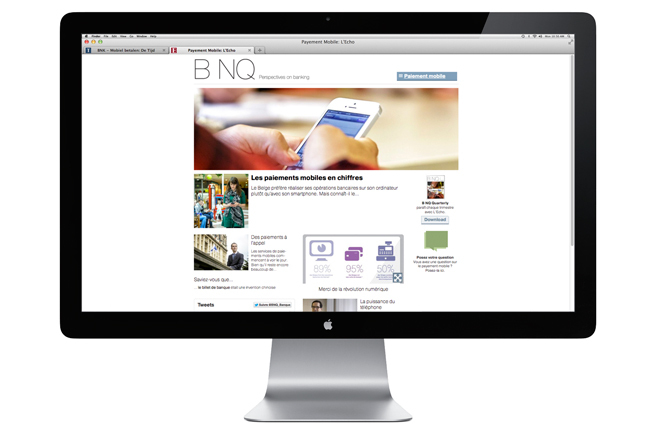 We are proud to have received the responsibility for the brand development of B NK (in French B NQ). Once again, a fantastic project together with BNP Paribas Fortis. 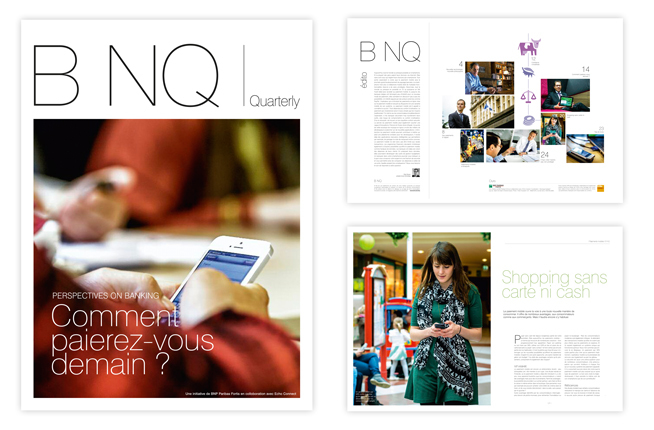 The first Quarterly is available on www.tijd.be/BNK and www.echo.be/BNQ.